This is a sponsored conversation written by me on behalf of Society6& & studioD. The opinions and text are all mine. 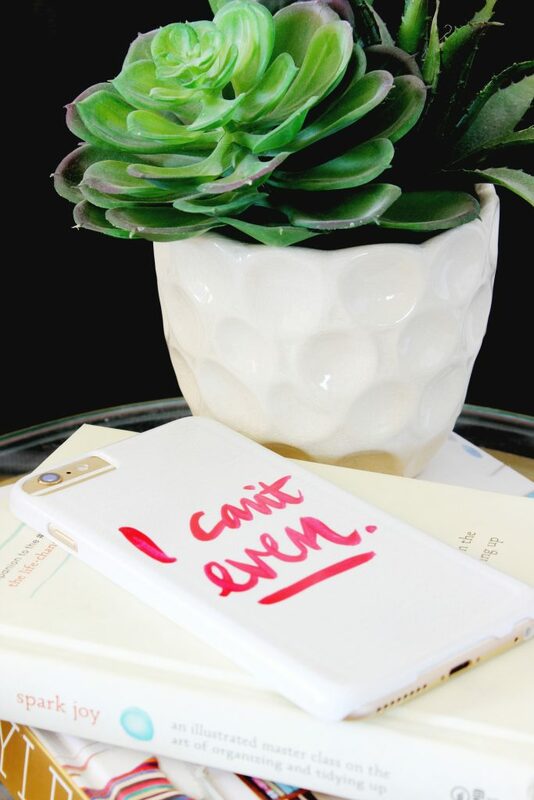 We are so excited to finally be sharing The Classy Clutter Collective with Society 6! 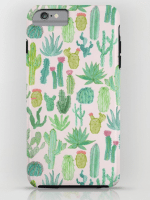 Have you heard of Society 6? 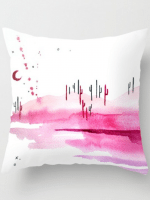 It’s this amazing site where artists and makers upload their art and you can have it printed on a bunch of different products. There is everything from phone cases, pillows, shower curtains and even clothes! I literally get lost on their site for hours and hours… guilty! 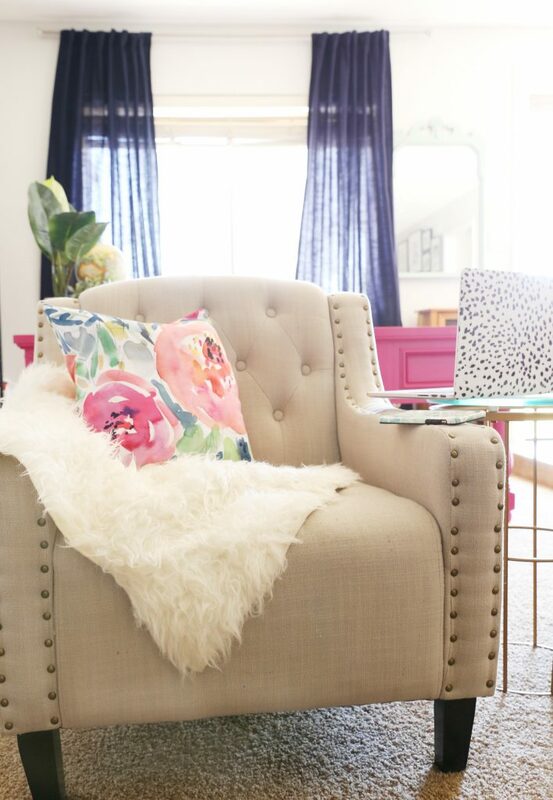 We were asked to choose some of our favorite products and create a collection of items that we loved. 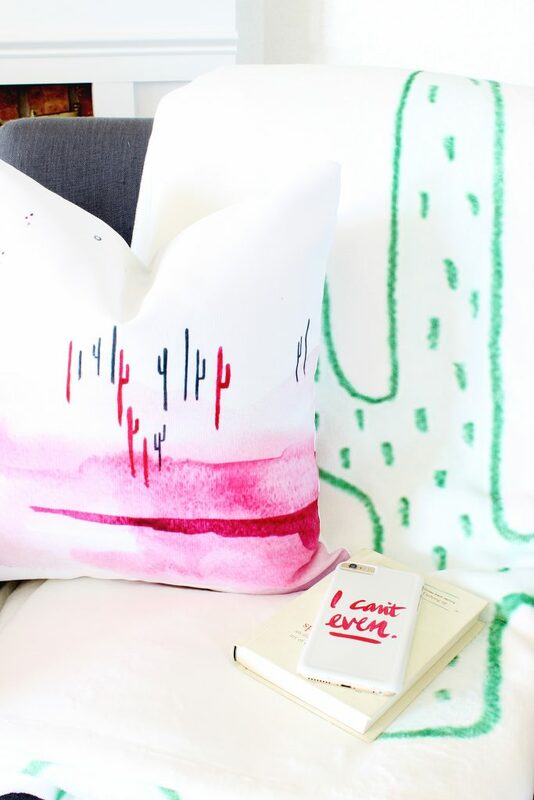 We found some of our favorite artists on Society 6 and got some of our favorite pieces printed. Check out our full collection here. 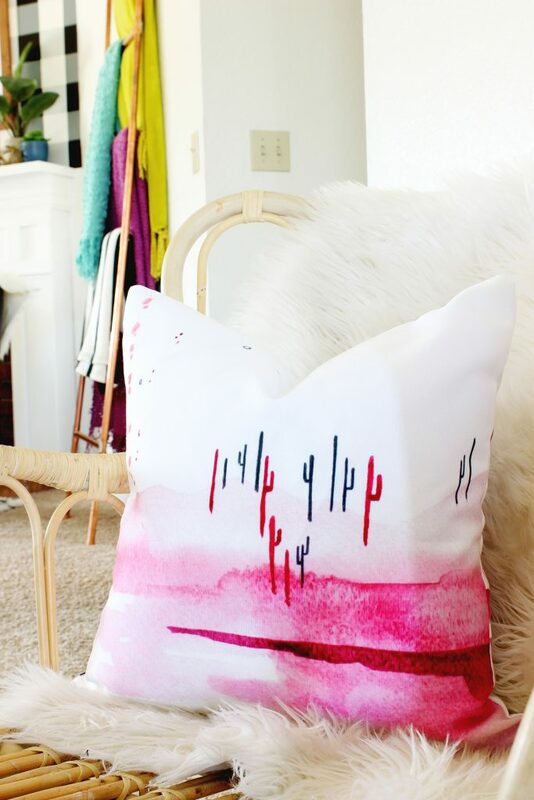 This “Cotton Candy Desert” pillow is by a local artist here in Arizona (where my AZ peeps at!?) and we love her! We know her in real life and her work is absolute perfection. I even messaged her and told her that all my dreams are coming true having a Paige Poppe pillow in my house! 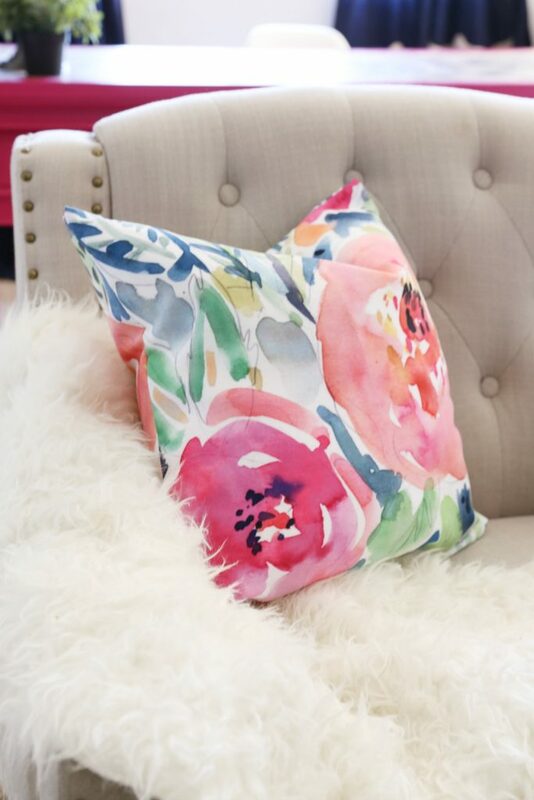 You can get the pillow here. You can have this design printed on basically anything! It’s awesome! 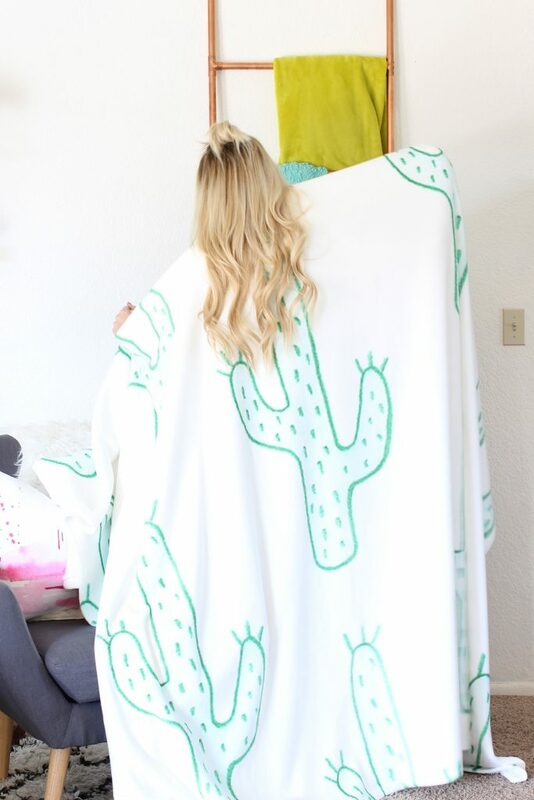 Can we just talk about this giant cactus blanket?! 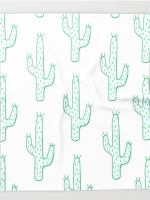 It’s ironic that it’s cactus and desert-y because it is the cuddliest, softest blanket ever. Complete opposite of the desert, am I right? It is so comfy and the cacti are my favorite. I love, love, love the hand drawn feel of it. You can snag one here. 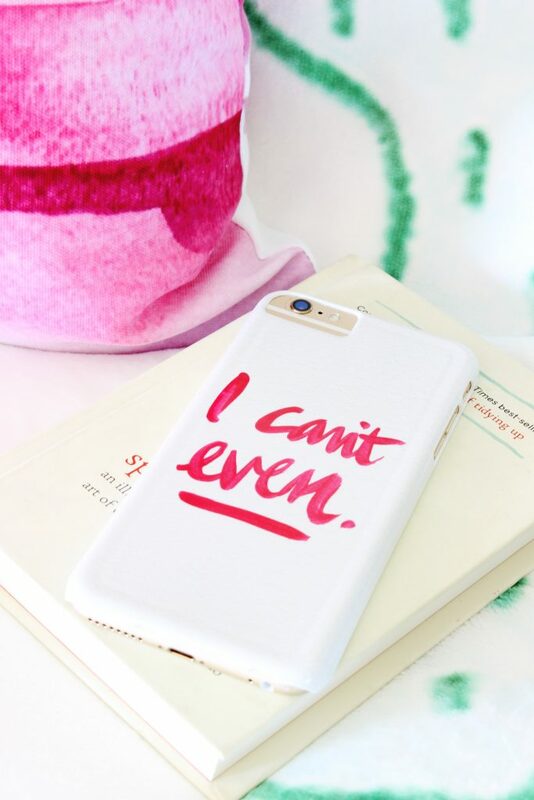 Okay, this phone case? I can’t even. #seewhatIdidthere? I LOVE IT! The watercoloresque font in the bright pink is perfection and it snapped on my phone super easily! It wraps around the front a bit for some added protection but I mostly love how dang cute it is. 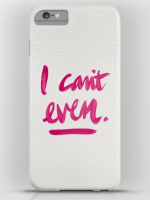 Grab this “I can’t even” phone case here. You’ll love it! Or grab one thrown on a pillow! Wouldn’t it be so cute!? I really love it so much! 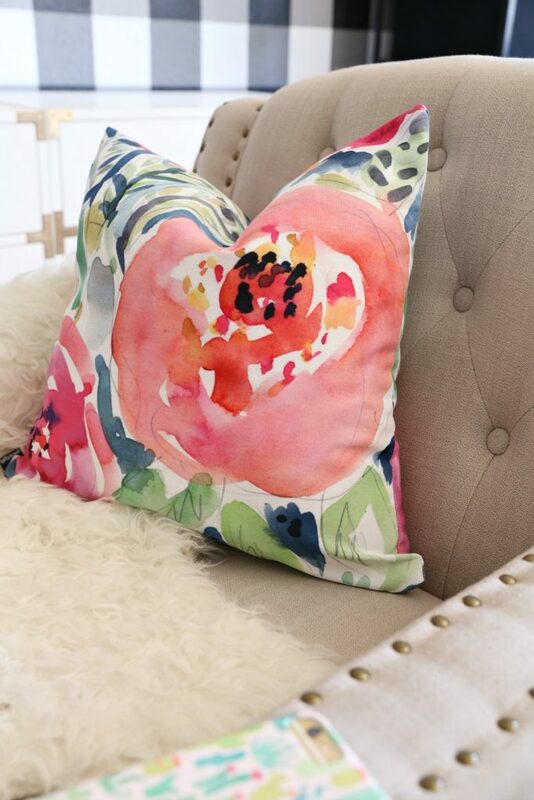 When I saw this floral pillowcase I knew that I had to have it. I love the color combination. I love that it has a watercolor color look and the colors are super bright. 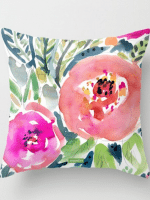 You can find the Peach Floral Throw Pillow here or you can get the same print on many different items. 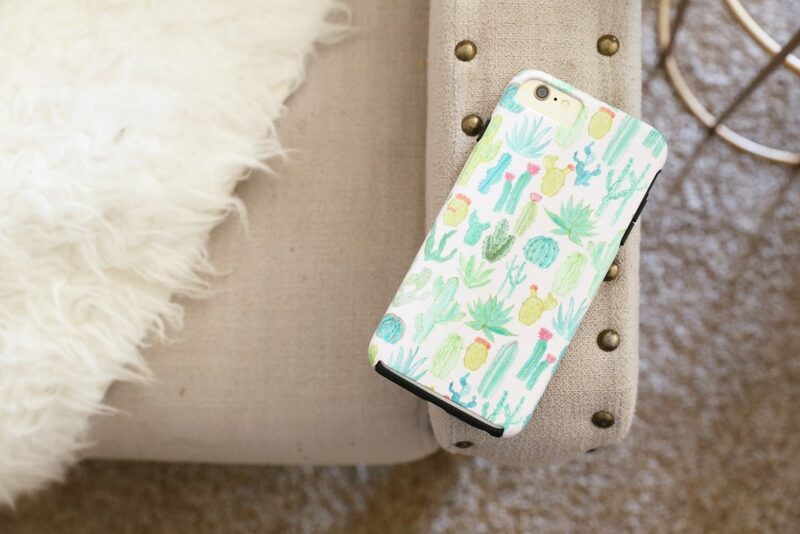 Another one of our favorite phone cases was this cute cactus one. 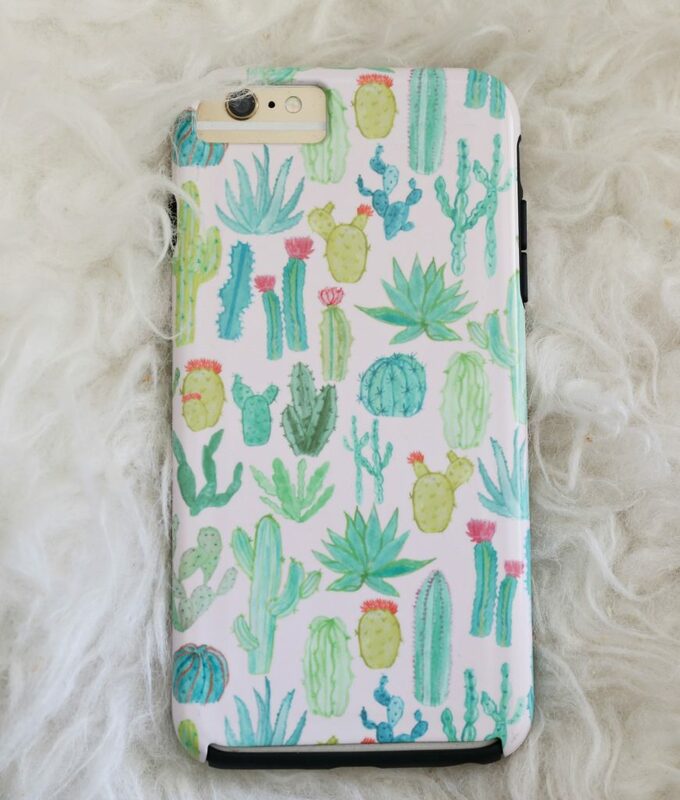 I love all the different kind of cactus on this case and the colors are really fun and I have only had it on my phone for a few days now and I have already had so many compliments on it. You can pick one up HERE. We just got back from a conference and everyone had their laptops out. 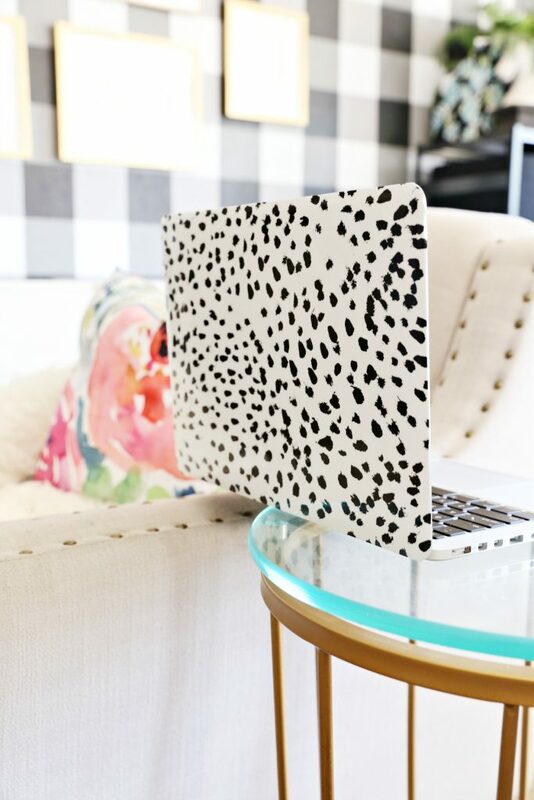 I was wishing I had this cute animal print cover on my laptop already because it is just too awesome! 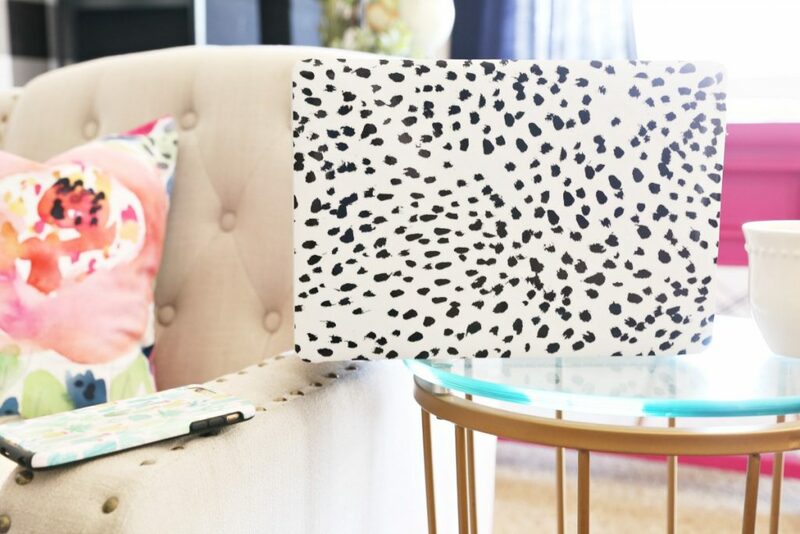 I love that its such a fun and sassy print. You can get a number of items in this fun print HERE. This is a sponsored conversation written by me on behalf of Society6 & studioD.The opinions and text are all mine.